The opening ceremony of Kazakhstan’s Year of Youth took place last week, led by his Excellency, President Nazarbayev. 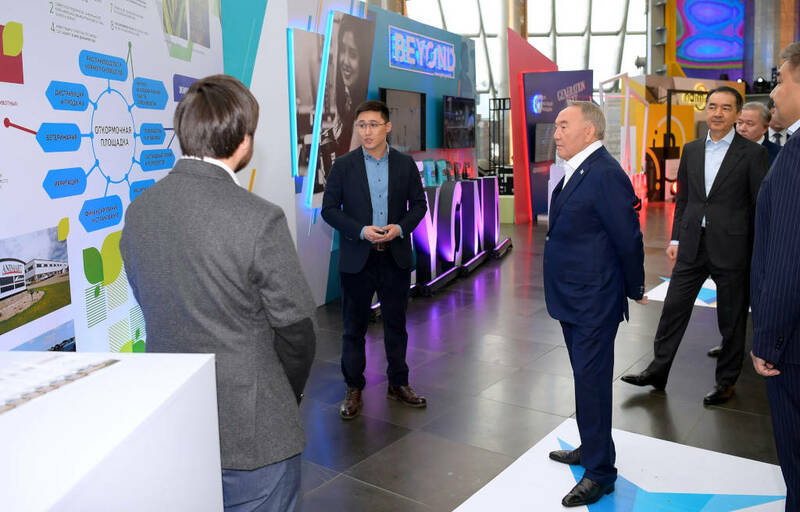 The ceremony kicked off the President’s new initiative to promote opportunities for young people in Kazakhstan and showcased some of the brightest talent in the country. Events like this help Kusto play its part to ensure Kazakh youth are empowered to help the country prosper. Kusto was well represented at the ceremony; two of our young employees, Almas Tatishev and Yernur Aidarkin made stand-out presentations that were selected by the President himself. The projects involve improving animal husbandry through advanced technologies as part of Kusto plans to create a full ecosystem for high-quality beef production in Kazakhstan. Our young workers will be at the heart of this ambitious and exciting project. How can companies expect innovative thinking and creative direction without them? And who, therefore, was better placed to present such plans to the President than Almas and Yernur themselves. I believe passionately that Kazakhstan can be at the forefront of global advances in agricultural technology and that we stand at a point where the world is beginning to recognize our potential in this area. At Kusto we’re always looking to use advanced technologies to improve out business practices. Recently we have begun cooperating with a number of American companies to improve in-country husbandry techniques. We are also increasing up our collaboration with relevant state bodies to update existing animal health standards by bringing them in line with international best practices. We hope to help the agricultural industry by building large, specialized hypermarkets across the country, where farmers will be able to obtain all the products and consultations they require in one place. Additionally, we hope to launch two scientific centers for the development of new seed species in the north and south of the country. This project particularly excites me, with it’s potential to revolutionize the country’s agricultural industry. To have Kusto Group at the forefront of such a project is one of my main motivations. New species will be internationally recognized and will receive female, Kazakh names. The first corn seed created in Kazakhstan has already been named Kazseed Aliya, at the suggestion of President Nazarbayev himself. It is a hugely exciting time for the Kusto Group and I am proud that our young representatives were able to kick off the Year of Youth by presenting President Nazarabyev. Through our investment in science and technology, we hope to make Kazakhstan a global leader in agriculture. But to achieve that goal, it is vital that we also nurture leaders for the future: the Year of Youth symbolizes that process.